Departure Beirut in the early morning to Phuket via Doha. Arriving Phuket, meet assist & transfer to Hotel. Overnight in Phuket. Day 2 : Phuket (Phang Nga Island). Full Day Tour to the Top Tourist destination of Phan Nga Island by boat, a 35 km northeast of Phuket, known as James Bond Island where the famous movie of “The man with the Golden Gun” was filmed. This Island is so famous for the limestone cliffs and the surrounding mangroves and grotto caves. Lunch at a Sea gypsy village on Payni Island. Seasonal fruits, tea & coffee will be served throughout the journey. Rest of the day to enjoy the Exotic Beaches. Return and overnight hotel in Phuket. Day 3 : Phuket (Phi Phi Island). Full Day Tour To Phi Phi Island by Express boat to the two most beautiful island in Andaman Sea. 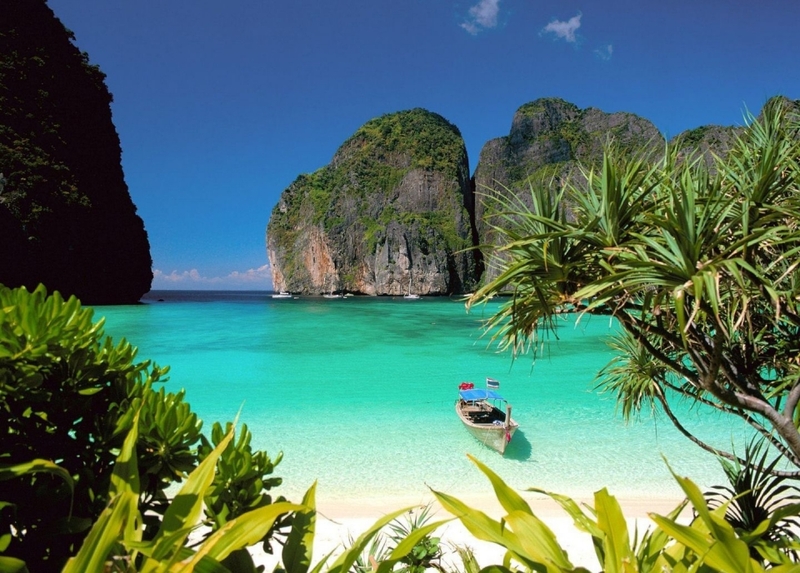 Discover the fantastic landscapes of “Maya Bay”, famous due to the new film called “The Beach”. After Lunch at a beachside restaurant, enjoy swimming, snorkeling & Sun bathing. Return to Phuket. Overnight Hotel in Phuket. Day 6 : Phuket – Bangkok. Transfer to Phuket Airport and board flight to Bangkok. Arriving Bangkok and transfer to Hotel. Overnight hotel in Bangkok. Morning Half Day Temples & City Tour with visits to the three most important Temples in Bangkok, GOLDEN BUDDHA (made from 5.5 tons of solid Gold), RECLINING BUDDHA (the largest and oldest Buddha in Bangkok) & MARBLE TEMPLE (A monastery built with white Italian marble from Carrara). Overnight hotel in Bangkok. Morning Half Day tour to the GRAND PALACE Complex one of the wonders of the world today includes the most exotic Buddhist temples as well as the fabulous EMERALD BUDDHA TEMPLE, and The Coronation Hall. Nearby The Grand Palace the official residence of the King of Siam built in traditional Thai mixed with European designs. Afternoon, RICE BARGE CRUISE, a fascinating trip into the rural canals of Bangkok (The Venice of the East). The tour is by long-tailed boat, known as Rice Barge, through the rice field. Exotic fruit & drinks will be served on boat. Overnight hotel in Bangkok. Day 10 : Bangkok – Doha – Beirut. Return Economy class ticket on Qatar Airways on “N” booking class: Beirut – Doha – Phuket – Bangkok – Doha- Beirut. Accommodation in selected hotel for 4 Nights in Bangkok & 5 Nights in Phuket with daily Buffet Breakfast. Airport / Hotel / Airport Transfers in Bangkok. 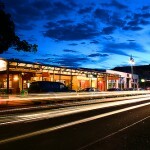 Airport / Hotel / Airport Transfers in Phuket. Three Half Day sightseeing tours in Bangkok. Three Full Day Tours in Phuket including Lunches.